Are you ready for Automotive Testing Expo 2017? We are! This year Automotive Testing Expo concentrates on latest technologies and services that are designed to ensure that the highest standards are met in terms of product quality, reliability, durability and safety. At Automotive Testing Expo 2017, Gasera launches GASERA ONE SHED, a gas analyzer that is based on the proven technology of the GASERA ONE platform. Read more about GASERA ONE here. 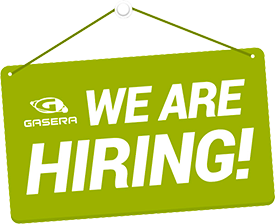 If you have any further questions or if you want to schedule a meeting at the expo, please send us an e-mail to: contact@gasera.fi. Welcome to our booth #12010, Hall B. See you soon in Novi!